This is a Skewer. It is dated late 19th century and we acquired it in 1931. Its medium is silver. It is a part of the Product Design and Decorative Arts department. 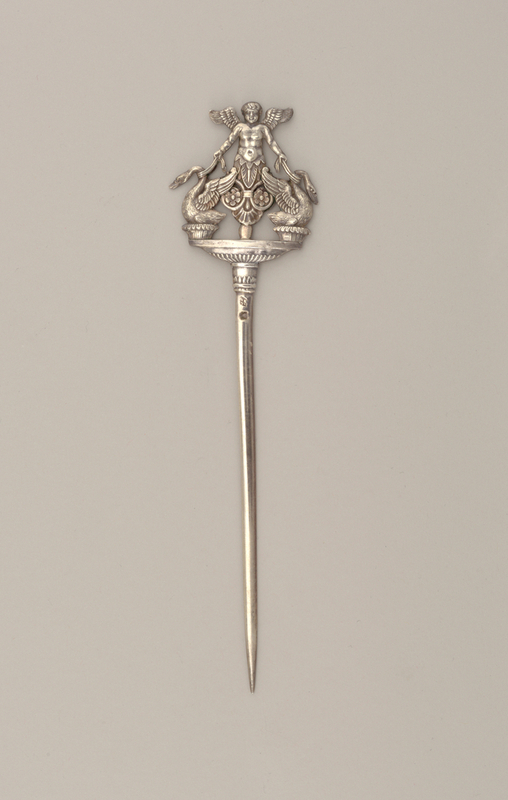 This object was donated by Mrs. Abram S. Hewitt. It is credited Gift of Mrs. Abram S. Hewitt. On blade (a, b): below the join a Minerva head indicating a .800 silver fineness, a standard used from 1838-1973; maker's mark of a diamond shape with a crowned "K" in the upper region, a cross in the lower region, a "J.S" through the center; a Bigorne on the opposing side.